This television projector light equips high power 400W cold white or warm white LED lamps as the light source, it’s energy saving. And it uses high efficiency optical lens, light soft. It’s a best choice for film and television performances, studio and other places. 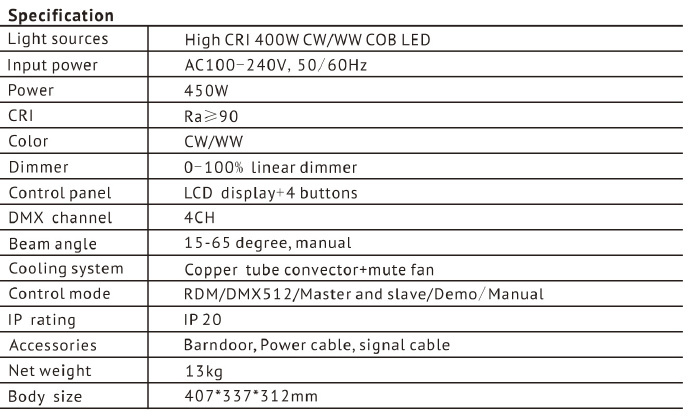 The light has RDM and DMX function.